A hearty breakfast or lunch, then off for scenic vistas, and wine tasting. In a nutshell: A hearty breakfast or lunch, then off for scenic vistas, and wine tasting. Minuses: The road in Ulupalakua is unforgiving if you become over-enthusiastic during the wine tasting! This is a good side-trip to take after a Haleakala Crater sunrise trip, or during a planned Upcountry exploration day. If you take the back side of Haleakala to return from Hana, you will pass through starting in Ulupalakua. However I suggest that visitors plan a different day to come this way since there are two places on this route that are well worth a special trip – and they both close at 5pm. (You’ll likely pass though after 5pm if you come through here from Hana.) Those stand-out stops are Grandma’s Coffee House and Tedeschi Winery. Grandma’s coffee house is in the sleepy town of Keokea. Don’t blink your eyes, or you might miss it. Grandma’s stands with a few other stores across from the entrance road to Kula Hospital. 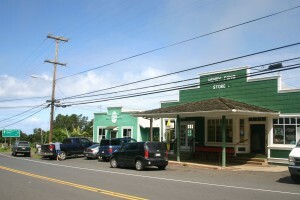 Stores here include an old-time gas station, art gallery and an old, no-nonsense country general store (simply called “Henry Fong Store.”) Side Note: Fong’s is a good place to grab some snacks if you decide you might continue past the Winery. 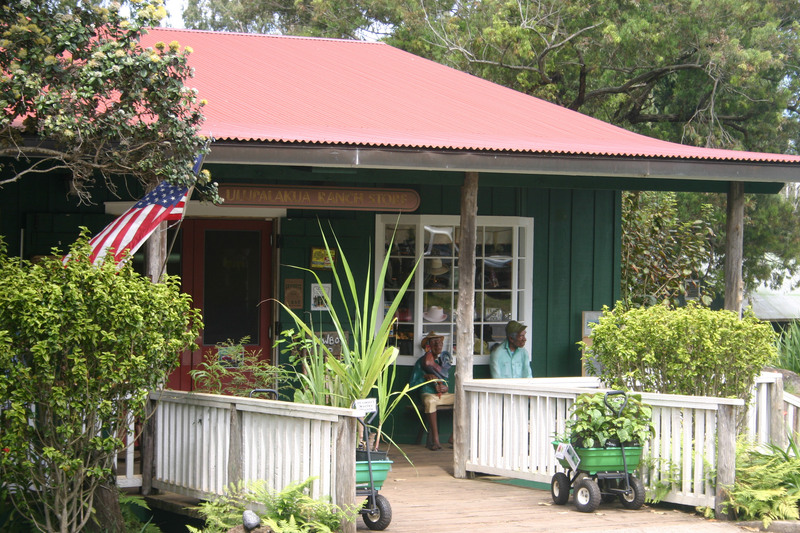 If general-store fare is not your preference (or you decide later) there is also the more upscale Ulupalakua Store across the street form the winery. Grandma’s is a rustic country coffee house and restaurant that follows an age-old formula from simpler times: rotate a menu of great food, prepared by nice people, and infuse some genuine heart and soul – and you’ve got yourself a place people will come to spend time in. Grandma’s is unassuming and authentic: with fresh local-grown organic coffee (that they grow) roasted in-house, home-style food that is as filling as it is absolutely delicious – and an assortment of terrific baked goods to tempt you. In a day and age where “home made” is plastered all over factory-made goods – “home-made” really does take on the old meaning and describes Grandma’s better than anything. And maybe that is because Grandma’s Coffee house has been a neighborhood fixture for over 90 years, and across four generations. Grandma’s still primarily serves friends, family and neighbors – and it shows. Between Grandma’s and the Tedeschi Winery is the larger area called Ululpalakua. It is verdant land that has stunning views of the countryside and the coastal resort areas of South Maui below. Frequently, in the afternoons, clouds blow through so low you might just feel the urge to duck! This is part of a leeward wind corridor above Makena where redirected trade winds carry clouds up onto the mountainside. Lush native cloud forests once covered vast swaths of land here, but are now restricted to areas that are inaccessible to cattle, goats and pigs. Much of the land is picturesque rolling hills of green pastureland, with purple jacaranda among the trees dotting the landscape. Haleakala and Ulupalakua Ranches comprise 50,000 acres of land that cover much of this side of the island. Cattle, sugar and other agricultural operations have kept this land in production since the 1800’s. There are many stunning views of neighbor islands, the valley that bridges Haleakala and West Maui, and the blue ocean on both sides of the isthmus. Depending on your timing back down the mountain, this will likely be a great day to make reservations at the Haliimaile General Store. In Haliimaile, halfway on your way back down Haleakala Hwy – this is an excellent top-quality restaurant at fairly reasonable prices that folks staying in the resort towns may otherwise miss.